Members of La Union del Pueblo Entero celebrate the opening of their new permanent office in Alton. 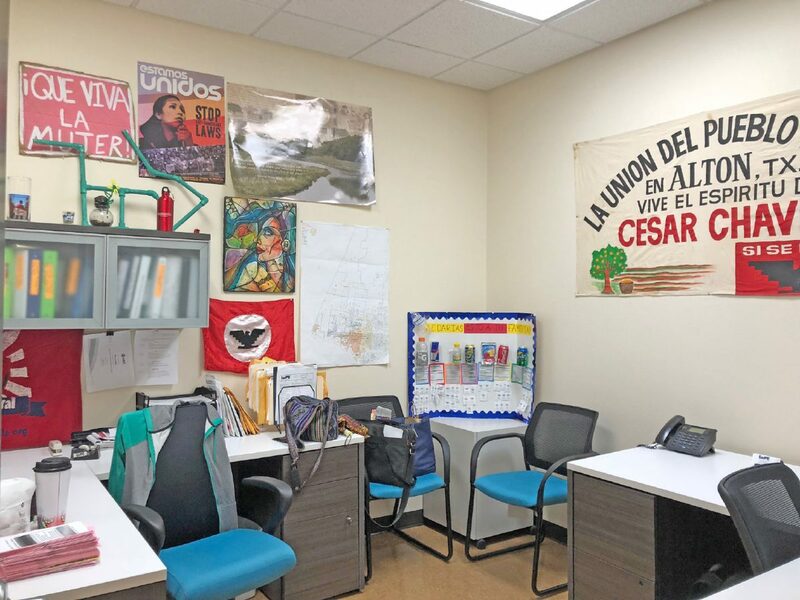 ALTON — La Union del Pueblo Entero have relocated their Alton office into a more permanent facility which they say will allow the organization to better serve its members. 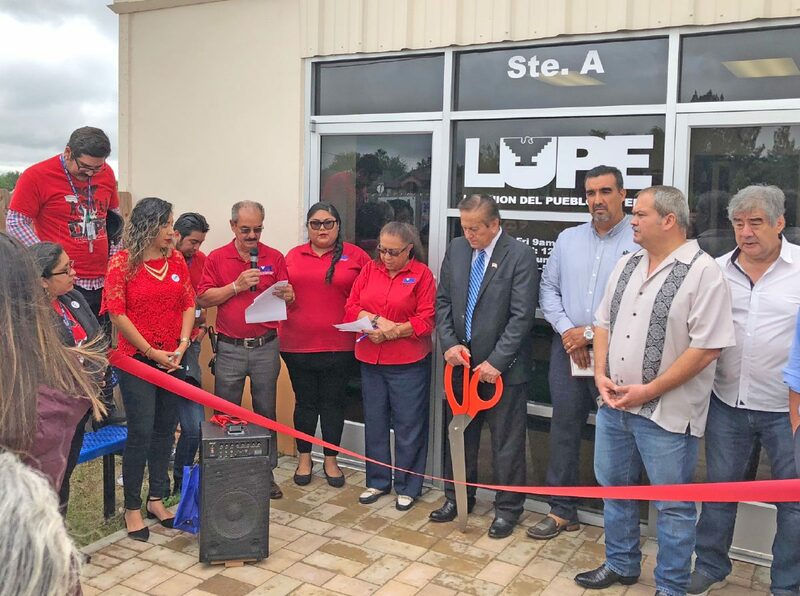 LUPE marked their relocation with a ribbon-cutting ceremony Friday morning with city and county officials in attendance. Their new Alton office, located at 416 S. Alton Blvd, Suite A, is a change from their previous space which was in two portable buildings behind city hall. The organization, which has had a presence in Alton since 2005, had been in their previous office since 2013. The Alton office, which they are renting from the city at a discounted rate, serves all of the west area from Mission to Starr County. Their in-office services include immigration and income tax services, notary public, and health programs. They also offer classes for citizenship and to learn English. They also offer social services and house the community organizers that try to help residents improve their living conditions. Additionally, they have an outreach team that offers health services to the surrounding areas. “Alton is the first city that has welcomed LUPE and done something like this,” Juanita Valdez-Cox, LUPE executive director, said during the ceremony, thanking the mayor for all his support. Alton Mayor Salvador Vela also thanked the group for their work.